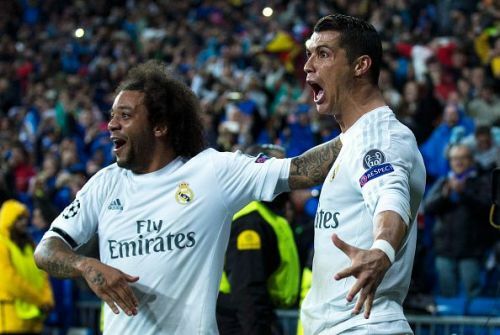 If reports are to be believed, a reunion between Cristiano Ronaldo and his former teammate Marcelo is close as the Real Madrid defender has reportedly agreed terms with Serie A giants, Juventus. Marcelo has long been linked with a move to Juventus, with many reports claiming that the defender is keen on reuniting with his close friend Ronaldo. The Brazilian has fallen down the pecking order under Santiago Solari, with the Argentine boss favouring youngster Sergio Reguilon ahead of the veteran. Marcelo's contract with the European champions extends to 2022 but injury, coupled with average performances, has led the Brazilian to be at the centre of criticism from fans and the media alike. Reports of the defender's frustration at his lack of playing time have been rife and it looks like he is readier than ever to make a move to Turin and start anew. According to Italian daily La Stampa (via AS), Marcelo has agreed terms to join Juventus on a four-year deal this summer. The deal is reportedly worth 12 million euros and will see the defender once again link up with Ronaldo, who was his teammate at Real Madrid for nine years. The Brazil international had reportedly also met with Madrid general director Jose Angel Sanchez to request permission to leave the club this summer. Following Real Madrid's torrid week, word of a massive reshuffle within the club has been doing the rounds. Club president Florentino Perez has reportedly chaired a number of meetings to discuss the future of the club and reports have claimed that a host of players will be let go to make way for more efficient reinforcements this summer. This coupled with Marcelo's defensive contribution to the club, or lack of, could see the move actually go through. Following their Champions League exit, Real Madrid are next scheduled to face Valladolid in La Liga on Sunday night.